Money Q&A: How can I reduce food bills? Q. How can I reduce food bills? A. With the price of food rising at double the rate of the average income, there’s never been a better time to find ways to save on your grocery shopping. Firstly, try buying supermarket’s own brands, rather than the bigger name brands. Alternatively, shop at back-to-basics stores such as Lidl and Aldi. You may find they stock a lot of product names you don’t recognise, but give them a try as most will be just as tasty as your usual brand and are often a great deal cheaper. Always shop with a list after planning your week’s meals and don’t be tempted by ‘buy one, get one free’ offers unless they are for non-perishable items. 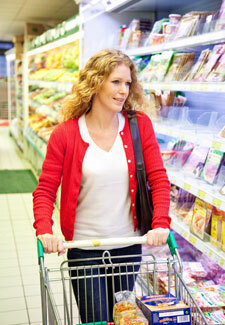 Lastly, shopping when hungry can increase food bills by 15%, so always eat before your shop!